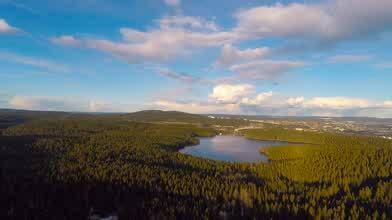 Kaosolsen created this stunning drone video of the vast forest area which surrounds Norway's capital city Oslo. Sometimes called Marka, the area is a major recreational area for the residents of Oslo, one of the largest cities in Scandinavia. Although the area is not formally part of Oslo, its use is heavily restricted by law. As you'll see from the video, it's an area of almost fairy tale like beauty, endless expanses of trees and serene looking lakes.